The Chester County Historical Society is seeking input from the public for an expansive exhibit. 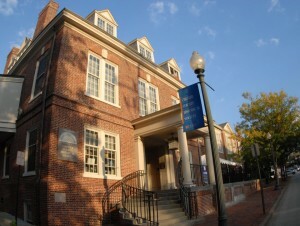 Whether you are a long-time resident or a newcomer to Chester County, the Chester County Historical Society wants to position itself as the go-to place to learn about the county’s past and to envision its future. Toward that end, the society is planning a large new exhibition and is inviting the public to participate in an exploration of its exhibit galleries through a focus group on Thursday, June 28 from 6:30 to 8:30 p.m. Participants will share ideas on what the exhibition should include. Light refreshments will be served, and guests will receive a small gift as a token of our appreciation. During the evening, participants will be asked to take a critical look at some of the current exhibitions and participate in a group discussion as well as fill out some questionnaires. The effort is part of an exhibition planning grant from the Institute for Museum and Library Services. Staff member will take notes and some photographs for use in grants and future exhibit plans, but the information gathered will be used in the aggregate; participants’ confidentially and anonymity will be protected as much as possible. Anyone interested in providing input should RSVP to Barb Brown at Bbrown@chestercohistorical.org or call 610-692-4800, ext. 201 by Friday, June 22. Don’t Retire, Refire: What kind of life do you want?